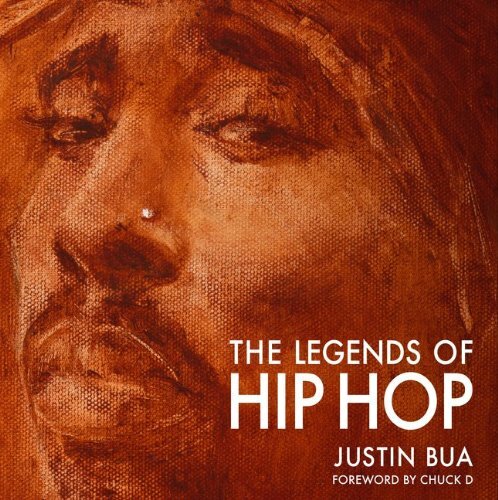 The Legends of Hip Hop is Justin Bua's second book that mixes music and art. Interestingly, even President Obama is featured. He talks about each of the characters he profiles on how they influenced his life and hip hop. Sweeping in its scope, The Legends of Hip Hop is an intimate look at the visionaries, the movers and the shakers, and the pioneers who have helped shape the world of hip hop. Groundbreaking artist Justin Bua profiles and paints fifty key figures, including everyone from Afrika Bambaataa and Grandmaster Flash to President Obama and Jay-Z, providing a portrait of each legend in a style reminiscent of the great masters. The artwork is accompanied by an engaging autobiographical narrative that contextualizes the impact each icon has had on Bua’s personal life and on the hip-hop culture at large. With a foreword by Chuck D, this landmark volume is more than a celebration of hip hop; it is the definitive word on the subject as told by Bua, one of hip hop’s leading artists and a legend in his own right. You can check out more work of Justin Bua at www.justinbua.com.